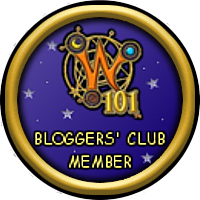 The dragonspyre pirate: reasons i love wizard101! I started out playing wiz so of course it has a special place in my mmo gaming world, although I do like pirate101 more I will always love wiz! currently I beat the rat and am waiting for mirage but onto the post. the reasons I love Wizard101! 1 Team up station! This really helps if I don't want to walk all the way to the place I want to farm plus if I need help somewhere or need to do something I can always check the team up station for everything I need at once. 2 crafting. I love to craft (housing stuff mainly) I don't like the quests though (I finished the zafaria quest in Polaris) but its fun nevertheless. Also reagents are a quick way to make a little bit of cash. Which is a perk definitely. 3 pet interactions. P101 has it, they join you and help in battle but I'm talking about training. In p101 training would be better if we could do allot at once like in wiz. 4 houses. Granted p101 has some epic houses but w101 makes up for it in number. So many to choose from and so many ways to decorate them. 5 the gear. Wiz has so many different looks, styles, combinations and it looks better than p101 gear. 6 the packs. Wiz has many packs that all help in some way. People want pack gear but in p101 farmed gear is better. Also the mounts are more rare, better chance of mega snacks, and the awesome weapons and pets. 7 bundles. Its been awhile since p101 got a bundle. Meanwhile wiz has tons. 8 the attack diversity. The attacks in wiz are more diverse and more fun to watch. Pirate101 granted has cool looking attacks, they tend to get old. 9 class pets. Wizard101 has class pets that only said class can get. If p101 was to get said class only pets that would be great. 10 the updates. Wiz is always giving us updates. Pirate is holding them back. Pirate world's are better done but wiz at least gives us tons of stuff to do.